We engaged the campus community in a conversation about how we treat each other which resulted in our Principles of Community. Invested heavily in professional development for faculty and staff. Launched the President’s Leadership Academy and monthly leadership lunch and learns to strengthen the culture of leadership and enhance the capacity and capabilities of Fresno State leaders. 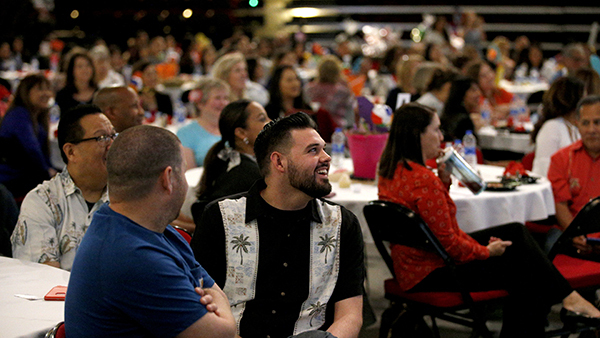 Expanded training for managers, supervisors, leads and department chairs — 142 managers/leads have attended the two-day Principles of Supervision workshop. Improved our internal campus communications by streamlining messages and introducing the weekly employee newsletter Campus News. Updated staff and manager employee performance evaluation forms. Enhanced employee onboarding programs to include welcome baskets, an annual welcome breakfast for all new faculty and staff, a six-day new faculty network and orientation program and a new staff orientation program coming in March. Improved existing programs and introduced new efforts to recognize employees. Meanwhile, we are on a continued journey to make Fresno State an even better place to work. From Monday, March 4 to Monday March 18 we will conduct our second Workplace Quality Survey. This will be an opportunity for all full and part time state and auxiliary employees to provide feedback on our work environment. Two years ago, we had 1,405 employees respond to the survey with an overall response rate of 45 percent. We are hoping for even higher participation this year. Watch for the survey and please take the time to respond. At Fresno State, every voice matters and your feedback is critical to making our workplace the best it can be.